Each month, hundreds of products hit the market. Here’s our pick of the ones to watch. Roseburg has expanded its popular Duramine collection with six new thermally fused laminate (TFL) designs, a selection of fresh neutrals, grey tones and hues introduced to complement a wide variety of applications and design styles. 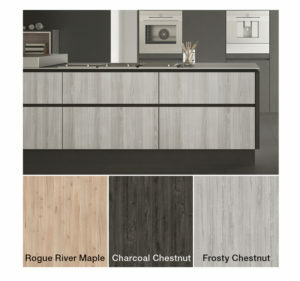 The new designs include: Charcoal Chestnut, Ribbon Walnut, Rogue River Maple, Frosty Chestnut, Navy, and Woodland Grey. With the added flexibility of two-sided or one- sided design options, customers can choose panels that work well for any application, including cabinetry, furniture, closets, casework, and organization systems. Now with Class 1 flame spread certification on the finished panel, Duramine Medite FR is engineered for use in lobbies, elevators, or anywhere a Class 1 fire rating is required. 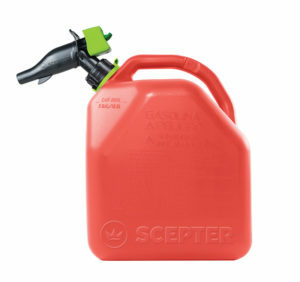 Scepter has introduced a new fuel can system. Crafted with a unique push spout, the rugged SmartControl containers are designed for fast fills without spills. The spout design of the SmartControl system is engineered to make it easy to fuel equipment like portable generators, snow blowers or snow mobiles. Available in one-, two- and five-gallon sizes, the SmartControl line includes containers for gasoline (shown), diesel and kerosene. Recipient of the “Best in Class” award at the 2018 National Hardware Show, SmartControl containers are constructed of durable and safe high-density polyethylene. The rugged SmartControl containers are Made in America and designed to substantially exceed ASTM and CPSC minimum standards. Each product includes a child safety lock and flame mitigation device for added protection. 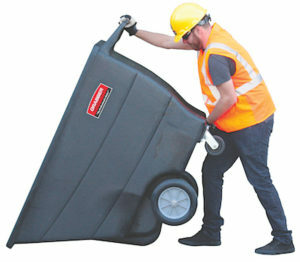 Grabber Construction Products’ new dump cart features a 1,000-pound load capacity, and an optional hinged lid. The cart is made from high-density plastic as a single seamless container. The design features a patented reinforced handle integrated into the cart mold, designed to make it less susceptible to cracking or breaking and easy maneuverability and dumping by just one worker. Additional strengthened ribs are designed to provide stronger handling. Upper and lower handles are said to provide easier dumping. The cart is sized to fit through standard doorways and in elevators. Multiple carts stack to save freight costs during transport. 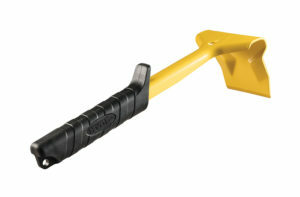 The smooth, hard plastic surface is designed to be easy to brush out or hose down for cleaning. Said to be resistant to moisture and pitting, the bin has no rivets or parts that will corrode. Oldcastle’s Echelon brand has introduced a new color/texture of Mirage Porcelain Veneers called Ardesie, with the look of natural elements. This porcelain veneer collection is available in four colors: Island, Black Reef, African Stone, and Shore. The units are 4″ wide by 18″ inches long (nominal) and with a thickness ranging from .30″ to .60″, designed for vertical wall coverings for interior and exterior applications. The product does not require any treatments (sealers) and is said to be unaffected by effloresce or discoloration. DuPont’s Tyvek DrainVent Rainscreen is designed to provide advanced protection against moisture damage in exterior wall systems. The product is the business’ first roll good offering that creates a 6mm (0.25″) space for water drainage and air movement for drying behind cladding. DrainVent can be installed behind stucco, stone veneer, brick, wood, fiber cement and metal panel systems, and is engineered to help prolong the life of exterior cladding by creating a gap that helps prevent rot, cracking and peeling problems. The product replaces the intervening layer required with stucco and stone, while the attached heavy-duty filter fabric prevents mortar and stucco infiltration. DrainVent is designed to be easy to cut and install, lay flat and roll tight against corners, helping protect against poor installation and detailing errors. 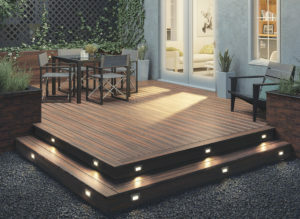 Includes a 10-year limited product warranty, and a 10-year limited product and labor warranty. 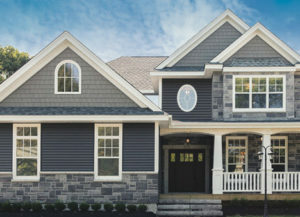 Alside’s 1700 and 1900 New Construction Vinyl Window Collection both are constructed with fusion welded corners designed to provide added strength, energy efficiency and weather-tight performance. The windows are available in contemporary exterior colors, a variety of grid profiles and grid patterns, and advanced glass packages. 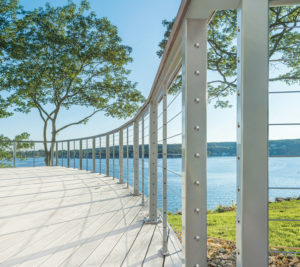 Alside’s insulated glass packages combine Low-E glass with a u-channel design warm-edge spacer system the company says creates an effective thermal barrier that meets ENERGY STAR requirements in all four climate zones. Both series come with a lifetime limited warranty. Hyde Group has introduced a new tool designed to remove baseboard, trim and other molding materials from walls without damaging those materials. The new Molding Puller is a heavy-duty steel hand tool to remove molding as well as tile, carpet, and other types of flooring materials. The Molding Puller design has a built-in patent pending “wedge” feature on the 90-degree angle designed to be safely driven between the materials. It works by spreading the applied force out along a larger surface area and gradually increasing the angle away from the wall to avoid damage. Features include: wedge for easy extraction; built in nail puller; no-slip handle; hand guard; finish designed to withstand hammering. A high-strength polyurethane foam adhesive, DAP SMARTBOND is said to provide eight times the coverage of cartridge adhesives, allowing users to do more with less. SMARTBOND is up to 25% faster to apply than traditional cartridge construction adhesives, the company says, and will bond to wet, dry, frozen and treated lumber. 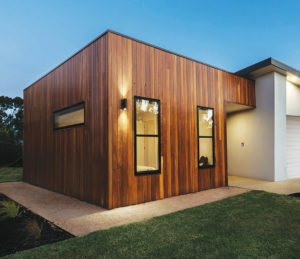 Georgia-Pacific now recommends DAP SMARTBOND adhesive for use with its DryMax High Performance OSB. 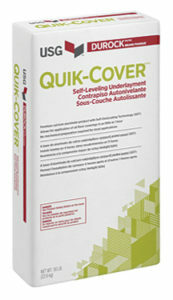 Durock brand Quik-Cover self- leveling underlayment is designed for commercial and institutional rehab and renovation. It features self-drying technology said to be ideal for fast-track projects. The self- drying calcium aluminate product allows for application of most floor coverings in as little as one hour, and the company says it requires minimal subfloor preparation and features compressive strengths exceeding 5,000 psi. Product comes with two-year limited warranty. Haas Door has launched the new SelectView option in which customers can place windows in almost any location they desire in a garage door. SelectView provides options for windows in the bottom section of the garage door as well. 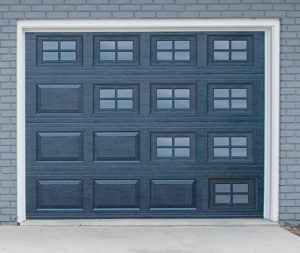 This allows for glass to be used in all panels of the garage door, giving the look of an aluminum rail door, but providing two additional options. 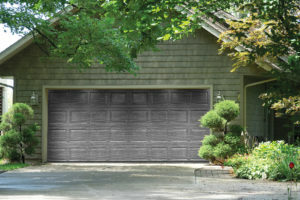 With SelectView all-glass garage doors, the sections themselves can have a wood grain texture to them. And, the SelectView all-glass door comes insulated with polyurethane, designed to provide added performance. Decorative, specialty glass, and inserts are available through SelectView. MI Windows and Doors has expanded the exterior color options for its 1620 single-hung and 1630 single-slider product lines with the addition of bronze and black exterior laminates. 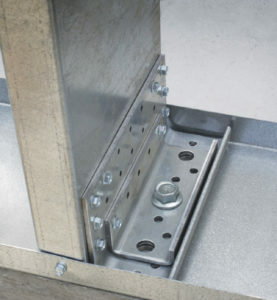 Available only with white interiors, each can be also ordered with the company’s fin, finless, and flange frame profiles to support both new construction and replacement projects. The bronze and black exterior colors are available in both the impact and non-impact configurations of the 1620 and 1630 windows. In addition to featuring dramatic styling options and handcrafted quality, the 1620 and 1630 windows are designed to meet stringent ENERGY STAR requirements in North-Central, South-Central, and Southern climate zones. Available in two- and three-lite configurations, each can also be purchased with a DP-50 option to enhance coastal-area performances. 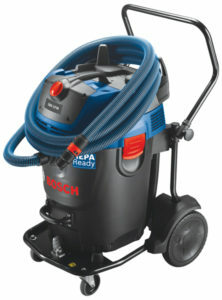 The Bosch GAS20-17AH Wet/Dry Dust Extractor is an industrial-grade product with a maximum 300 CFM (cubic feet of air per minute) capacity that filters fine dust, coarse dirt and liquids. The GAS20- 17AH boasts 17-gallon capacity, and auto filter cleaning with HEPA filter to provide a complete package in helping users move toward OSHA silica dust regulation compliance. Its auto filter-clean system activates every 15 seconds and the HEPA filter is said to capture 99.97% of particles at 0.3 microns and larger. The dust extractor features a 17.5-amp motor to maintain the maximum 300 CFM capacity. The tool is designed for heavy-duty applications, including concrete cutting and surface grinding with larger 7″ and 9″ grinders and up to 12″ cut-off tools. The large capacity Bosch wet/dry extractor has a water-level sensor to help preclude overfilling and a discharge hose for easy drainage. 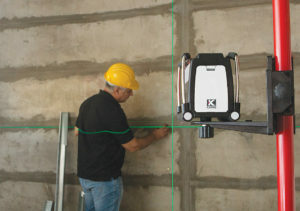 The 873G Prolaser Vector Green Laser Level from Kapro is comprised of a green beam with a wavelength that is said to be more easily detected by the human eye to see than a red beam. The 873G Prolaser Vector Green Laser Level includes three Laser beams (one horizontal and two vertical beams with 90-degree intersections); a self-leveling range of ±3 degrees; manual mode for angular layout/tilted marking; visual and audible “out of level” warning; tripod accessibility with 1/4″ thread. Kapro’s patented adjustable folding legs, for angle mounting, are designed to provide higher stability and make it possible to use the level without the need of a tripod. When folded, combined with its shock-resistant rubber casing, the legs create a protective frame developed to make the product more resistant to damage in the field. 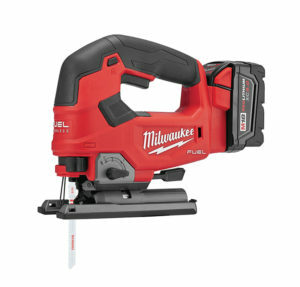 Milwaukee Tool has introduced two new jig saws in both D-Handle (shown) and Barrell Grip versions. Each is powered by the M18 Fuel system with brushless motors engineered to deliver higher sustained blade speed than 7-amp corded jig saws. Increased blade speeds are said to aid in minimizing chipping and bucking for cleaner cuts, and decreased overall time and cost. The saws feature a variable speed trigger, said to give users more control through the cut. Equipped with the M18 REDLITHIUM XC5.0 Battery Pack, the saws are designed to cut through up to 105 linear feet of 3/4″ laminated particle board per charged battery. The Barrell Grip tool features ambidextrous on/off switches and a 6-speed dial with a specific auto- controlled start mode.